There are a lot of practical daily uses for email scheduling, but one that we’ve discovered users taking advantage of recently is a bit different.. Yes, email scheduling can be used to easily create digital time capsules! A digital time capsule is way of sending yourself (or anyone else) a snapshot of your life today through a personal collection of file attachments. Your message can include notes for your future self, photos, and even audio and smaller video files. Email scheduling gives you the ability to schedule emails to be sent later, and this functionality is available for Gmail through our email tracking extension. 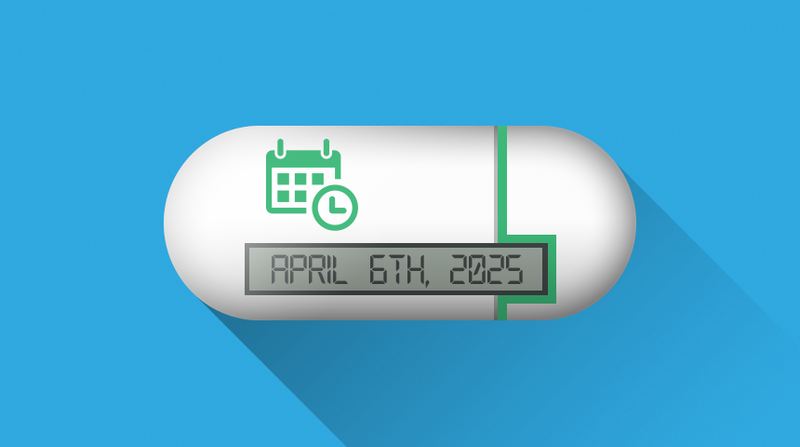 With Bananatag, there is no limitation as to how far in the future you can schedule emails to be sent, which is what allows a digital time capsule to be scheduled to arrive any time — even in a few decades! Now the fun part — putting your time capsule together. Since you’re essentially sending yourself an email, your time capsule can include a message body and attachment files in any format. A note For Google Drive users: If you have Google Drive set up, you have the ability to use use your cloud storage along with Gmail’s Insert Files using Drive button (found in the Gmail compose window) to get around the default attachment limit and attach files as large as 10GB. If you do decide to use cloud storage to schedule emails with larger attachments, remember that you will need to continue to have the files you’re attaching in your Google Drive folder until your email is scheduled to be sent. The Send Later button that is visible in your Gmail after installing Bananatag can be used to easily schedule your time capsule (or any other email you’d like to send later). Once you click Schedule, this time capsule email will be scheduled to arrive 10 years from today! You can also add multiple recipients to your scheduled email when you’re composing it, allowing your time capsule to reach multiple recipients at the scheduled time! Although we now likely create more digital files than ever thanks to our phones and tablets, they often end up just sitting on a memory card. The ability to schedule emails into the future opens up a lot of interesting ways to takes the memories we’re constantly capturing and deliver them at important times. Like a perfectly-timed package, email scheduling creates a new way to have messages and files delivered on birthdays, anniversaries and more. 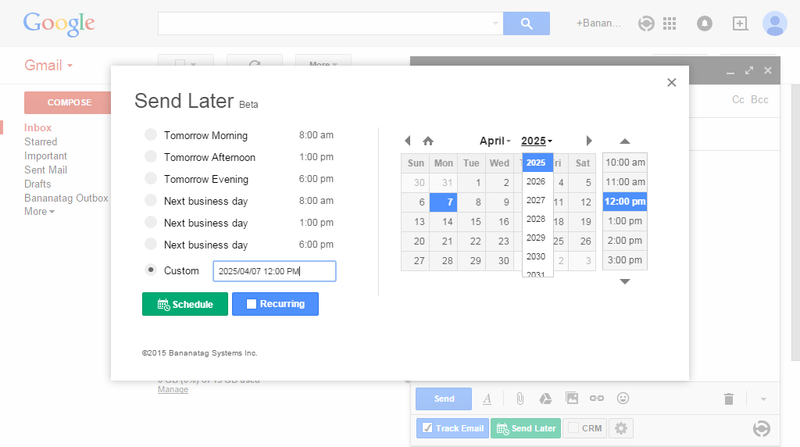 Try it today, and let us know how you’re using email scheduling in Gmail with Bananatag!